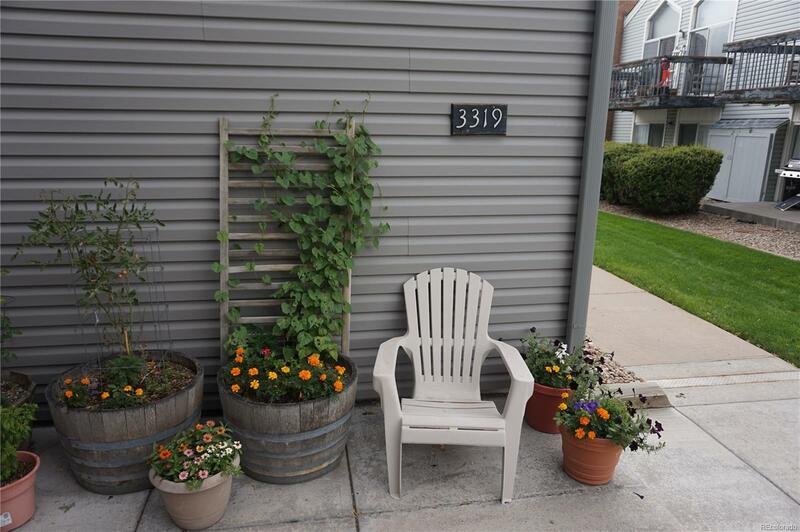 A jewel within Monaco Place, top floor 2BD/2BA with multiple exposures overlooking professionally maintained common grounds off covered deck, vaulted ceilings & wood burning fireplace. Kitchen w/ stainless steel appliances, sink & granite counters and tile backsplash.Tiled kitchen and dining area. Bathrooms with designer granite basins, newer toilets, hollow-core doors replaced with solid designer finish. Closets galore, 6+. Formal tiled entry foyer, living room perfect for entertaining, dining area tiled flooring adjacent to fully equipped kitchen. Master suite with entry hall/dressing area and en-suite bathroom. 2nd bedroom across from 3/4 bathroom, layout offers flexibility. Truly one of the finest units in Monaco Place plus quick possession. rare W/D included w/ unit, reserved carport parking adjacent. HOA includes heat and A/C, owner covers electric. Indoor pool, workout. Cost of ownership cheaper than rent + equity.